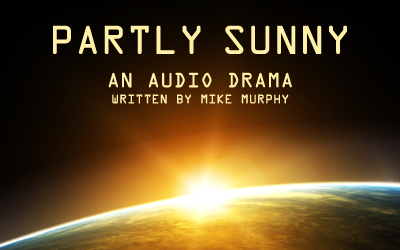 Written by Mike Murphy, Partly Sunny follows the crew of Solar One, a ship enlisted to help fix the sun which is being depleted of energy at an alarming rate. Music by Kevin MacLeod and Michael van Laar. Cover by April Sadowski. Image by Hameed.